One hundred fifty years ago, President Abraham Lincoln signed a law to preserve the immense beauty of Yosemite Valley. A group of explorers convinced Lincoln that he must protect Yosemite. Without strict protections, they were concerned Yosemite might suffer the same fate of Niagara Falls. Overexploitation had early led to what Garrett Hardin, a prominent American ecologist, would later call an example of the “Tragedy of the Commons,” a phenomenon in which individuals, acting in their own self-interest, behave contrary to the best interests of a group of people by depleting a public resource. In the following decades, eminent geologist and botanist John Muir wrote extensively about Yosemite, claiming it was “by far the grandest of all the special temples of Nature I was ever permitted to enter…the special sanctum sanctorum of the Sierra.” For Lincoln, Muir, and the State of California, keeping people out of the Valley was the solution to preserve its beauty and mitigate threats to its environment. President Theodore Roosevelt continued this precedent set by Lincoln when he first visited what much later would become Badlands National Park on a hunting trip in September 1883. There, he discovered that the bison populations had been decimated, damage was being done to wildlife, and overgrazing was killing the grasslands. In response, after becoming President in 1901, Roosevelt created the U.S. Forest Service, established 51 Federal Bird Reservations, 4 National Game Preserves, 150 National Forests, and 5 National Parks—preserving over 200 million acres of land. After camping in Yosemite National Park, he stated, “It was like lying in a great solemn cathedral, far vaster and more beautiful than any built by the hand of man.” To Roosevelt, the beauty of the national parks was derived from their absence of humanity. To Cronon, the natural realm of the world has always overlapped with the social and cultural—the human—ones. When I visited Walden Pond the other week, I was reminded of another contributor to this debate over our conceptions of “wilderness”: Henry David Thoreau. An English teacher of mine found it humorous that Thoreau’s life in the woods was punctuated with visits to Emerson’s house and excursions into town. His experiment in minimalism, she noted, was quite comfortable. For as much trouble as Cronon gives Thoreau in his essay, Thoreau’s balancing act of life in the woods and life in human society was surprisingly Cronon-esque. While his writings may advocate for a preservation of the places that give us independence and solitude, his actions argue for a less binary form of conservation. Arguing, on one extreme, that nature is only truly so in the absence of humanity, Bill McKibben argues that to save our environments from ourselves, we must separate ourselves from our environments. In many ways, the implications of his theory are important. For example, to mitigate the effects of climate change, we must slow our carbon emissions. But the foundation of his philosophy is somewhat problematic, since it undermines the strength of the symbiotic interactions that have been taking place between human cultures and their natures forever. Examples of these interactions range from agricultural economies, to belief systems rooted in nature, to urban green spaces, to wielding the power of the sun for electricity. Yosemite was founded on McKibben’s philosophy, as were Roosevelt’s national parks. And for many concerned citizens of a rapidly changing world, a notion of nature in which humans are absent continues to inform arguments for environmental protection today. But in the face of amplified environmental challenges—global climate change among them—the human race must work alongside its environments to render both sustainable. 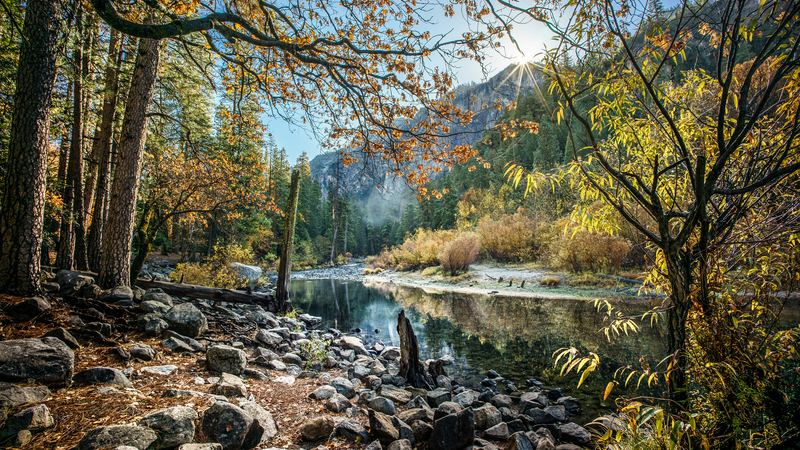 One hundred fifty years after Yosemite’s founding, a new model of conservation is required—one that recognizes the symbiosis that has, does, and must occur between humans and their environments. In order to save our environments from ourselves, we must paradoxically become a part of those environments. Image courtesy of Flickr. Published by S&S on August 24, 2017. Basil currently studies Environmental Science and Public Policy at Harvard University and will be graduating this spring. He is especially interested in climate change policy, law, and the role of science and technology in politics. Outside of his interests in environmental policy, Basil enjoys college basketball, playing the accordion, and running along the Charles River. Basil plans to stay in Boston after graduation.